This isn't one of those "drawing board" kind of fantasies, something that sat on a whiteboard back in 2008. Microsoft was thinking about ditching the Xbox One's optical drive as late as June 2013. In an interview with OXM, Microsoft Studios boss Phil Spencer has said, "Obviously, after the announcement and E3, there was some feedback about what people wanted to change." "There was a real discussion about whether we should have an optical disc drive in Xbox One or if we could get away with a purely disc-less console, but when you start looking at bandwidth and game size, it does create issues." 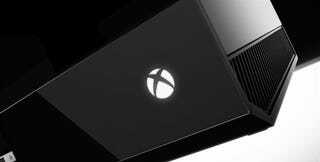 Those concerns with bandwidth and game size would eventually win out, calmer heads prevailing to ensure the Xbox One really did ship with a disc drive. A discless Xbox One would have been interesting, but I think it's more interesting that Microsoft was thinking about changing the goalposts so late in the console's development (it was released only five months later! ).